Are Bath Bombs Safe? We Have the Answers for You Here! There are a plethora of Youtube videos showing how many people just love using a bath bomb for a luxurious bathing experience. However, before you do that, you need to first make sure that bath bombs are actually safe for you. The best way to ensure your safety is by DIY bath bombs without citric acid, especially if you have issues with sensitive skin. Before you buy bath bomb making supplies, the first thing you need to do is to check the ingredients and labels. Fizzy bombs have pretty straight-forward components, but some manufactured bombs use chemicals as the fragrance. We know that the seemingly innocent ingredient “fragrance” is actually a front for a host of undesirable chemicals. Ask the seller for the particular fragrances used in the fizzy bomb. 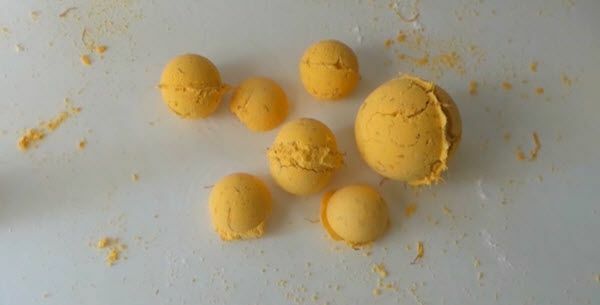 Those with sensitive skin need to do more research on the nature of the ingredients in their bath bombs. The two basic ingredients of fizzy bombs, which are citric acid and sodium bicarbonate, are not irritating to the skin for most people, but if you have sensitive skin, it’s better to check if you’ll react to these. Other ingredients of bath bombs that you also need to take a closer look at are cornstarch, essential oils, salt, and nourishing oil. Being aware of these before buying bath bomb making supplies can be beneficial to your skin and pocketbook. Avoid filling the whole tub with a fizzy bomb just to find out that you’re having reactions to it. Crack the bath bomb in half or get a tiny portion of it and drop it in a bowl of water. Conduct a skin test by applying some of it to your wrist or arm. If irritation occurs, throw away the rest of the fizzy bomb. Bath bombs can be one of the best things that happened in your bathing life if used carefully. Follow the tips provided above to avoid an awful bath bomb disaster.